What types of cartridges can be refilled? 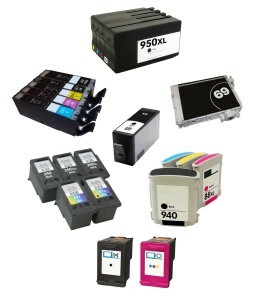 We currently refill the top HP, Canon, Epson & Brother. We do NOT refill aftermarket ink tanks which include all HP, Epson, Canon & Brother 4, 5 and 6 cartridge-based printer models. Manufacturers trademark logo must be visible on cartridge’s label or it will be rejected for refilling. All 2-cartridge printer models, including manufacturer original and aftermarket ink cartridges, are supported for refilling. Laser/toner cartridges are not supported for refilling. Over 90% of the inkjet ink cartridges from the leading manufacturers can be refilled. 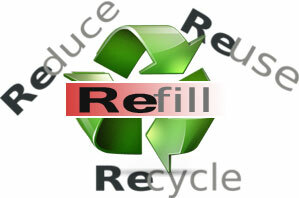 Refer to refiller center’s list for cartridges currently supported. NOTE: Some of the newer ink cartridges are being refilled at select stores – refer to our Beta Programs page for details. Which printers are the most refill friendly? Why doesn’t your service support my cartridge? Some cartridges have a different design which are not economical to refill them. For replacement, please check the retailers website to see which cartridges are covered. NOTE: Some of the newer ink cartridges are being refilled at select stores – refer to our Beta Programs page for details. Others – In order to provide the lowest price possible, service is normally limited to only those cartridges that represent the majority of the market. You may consider buying a new printer, which can cost about the same as replacing two older cartridges. This will allow you to use a refiller service; see our refill friendly printer model list. NOTE: If your ink cartridge suffered an electronic or physical failure or you are unable to find an ink refill store close to you, or your ink cartridge is not supported for refilling or you are seeking cheap/discount printer ink cartridges, may we suggest an Inkplicity ink cartridge. How long does it take to refill a cartridge? Typically, it typically takes less than an hour to refill a cartridge. Refill center representatives should provide you with a pick-up time based on the daily service volume. Can I refill my cartridge here even if I have had it refilled elsewhere? As long as your cartridge is in good working order, the refill center will normally make every attempt to refill it for you. Please note that if a cartridge has more than 25% of remaining ink inside it may be rejected by the refiller since an overflow of the cartridge may occur – return cartridge for ink refilling once you have verified it is out of ink (i.e. print fade is observed, etc.). Is there a recommended usage date for a refilled cartridge? The refilled ‘integrated printhead’ ink cartridge (i.e. visible electrical contacts & nozzle plate at base of ink cartridge) should be used within 90 days of refill, and remain in the plastic storage clip until ready for use. Individual ink cartridges (often referred to as tanks) have an extended life and may be used up to one (1) year following ink refill. NOTE: We do not refill aftermarket ink tanks (i.e. the HP, Epson, Canon or Brother trademark logo must be visible on cartridge’s label or it will be rejected for refilling). When refilling and using ink tanks (i.e. those cartridges found in 4, 5, and 6-cartridge equipped printer models), it is suggested to follow these general guidelines to help maximize print quality output and maintain a healthy printer. By refilling commonly used household products, like ink cartridges, you’ll help support the environment by reducing manufacturing-related CO2 emissions into the atmosphere. Take the next step, think refill, not Landfill. Join the refill evolution. NOTE 1: When refilling and using ink tanks (i.e. those cartridges found in 4, 5, and 6-cartridge equipped printer models), it is suggested to follow these general guidelines to help maximize print quality output and maintain a healthy printer.